Famous majorly for its grand Maha Shivratri celebrations that expand over a period of six days, Aluva is a scenic, peaceful destination, located 12 km from Kochi. The Periyar River that flows through this place, facilitates for a scope of some breathtakingly beautiful places to see in Aluva. Head to the Marthanda Varma Bridge to get an ethereal view of the entire Aluva. This is perhaps amongst the best places to visit in Aluva, and missing this one could actually be a deal broker! 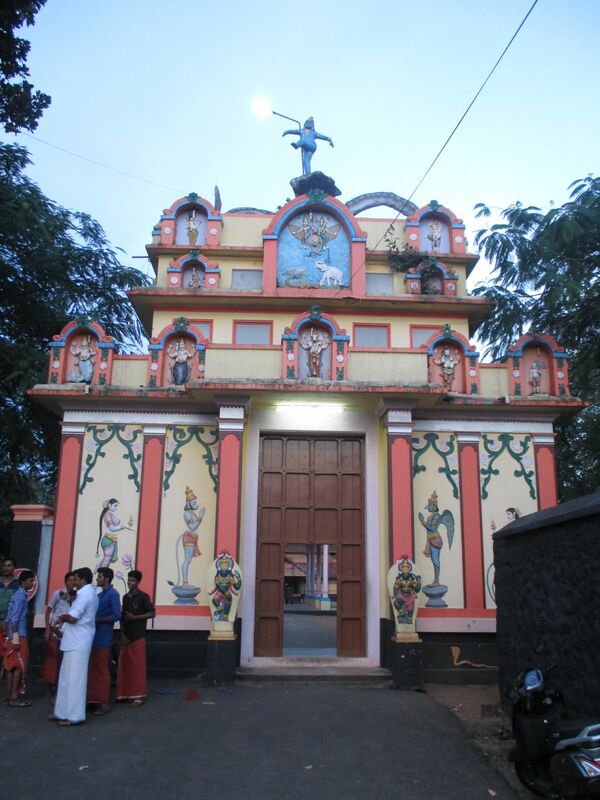 Since the town is famous for its Maha Shivratri festivities, visiting the Shiva Temple becomes one of the critical things to do in Aluva. The USP of this temple is that the Shiva Lingam here isn’t installed inside the temple premises, but outside on the sand banks by Lord Parshuram himself. Right across this place, is the Aluva Palace that exhibits the architectural qualities of the artisans back in those times. It is one of the best places to see in Aluva that speaks volumes of this place’s long lost historical splendor. Slide down this page to get an expansive list of the best places to visit and see in Aluva. Looking for places to visit in Aluva? Here you would find the best attractions and sites of tourist interest as we bring to you an assorted list of select tourist sites within Aluva. You can easily find ample information on the popular tourist sites. Aluva is well-known for its scenic beauty and all you have to do is take a look at the top places to visit in Aluva in order to plan your itinerary. Explore Aluva like you have never before and know about many hidden gems of the place. Through this well-researched list, learn about the most happening places for a truly enjoyable time. Discover common picnic spots for a memorable family outing. Check out the offbeat destinations in Aluva for an extraordinary holiday experience. With the thorough information about places to visit in Aluva, you can quickly prioritize which places to see in Aluva. For fun and adventure, you can also explore your options in things to do in Aluva. If you like to revel at some entertaining site or cherish the marvels of age-old architecture at historical monuments, museums and buildings, Aluva is your go-to destination. You can also know about the places in Aluva where you can spend the best of your vacation time relaxing in the proximity of nature. Explore your choices on the go, check out some cool Aluva packages and spend the most exciting vacation in Aluva this time around!